And I shouldn’t say “your average,” because these are SO good. 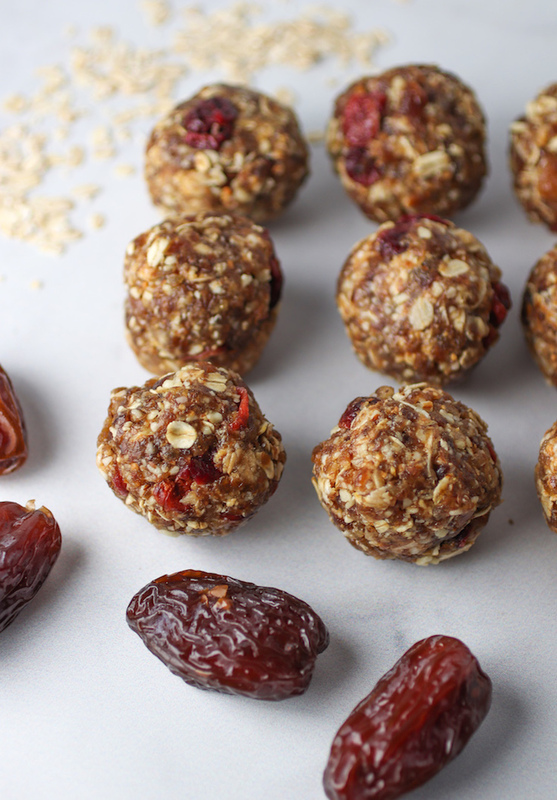 Like I’ve eaten a lot of date balls/protein balls/energy balls in my life, and these are by far my favorite. Super hearty and just sweet enough. So why are these good for lactation? I am currently on my 4th week of breastfeeding Luca, and have to say the journey has not been an easy one (details for another post). I had a really poor milk supply initially, so I did a lot of research on foods I should be eating to help make more. It turns out oats, nuts, flaxmeal and chia seeds are some of the superfoods for lactation. I’ve also read in many articles that brewer’s yeast is supposed to help- however it’s not scientifically proven. So I made me a few batches of these No Bake Lactation Bites and I’ve been eating one a day since. Now the milk legit pours out of me; like it’s a problem haha. Can’t say it’s from eating these balls (along with other lactation foods like eggs, avocado, leafy greens and berries) or if this just happened naturally; but my supply is serious! 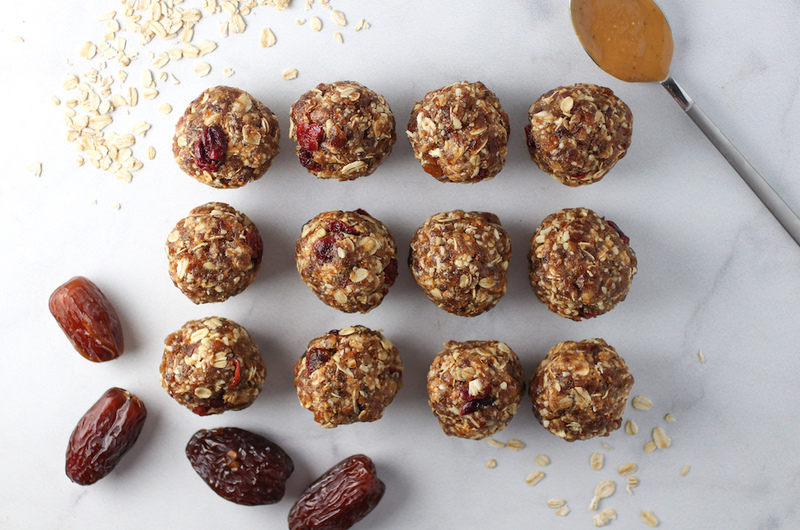 PLUS, since I am always starving these No Bake Lactation Bites make the perfect quick snack to hold me over. Like 3am, I’m breastfeeding, watching the Bachelorette and eating a ball. 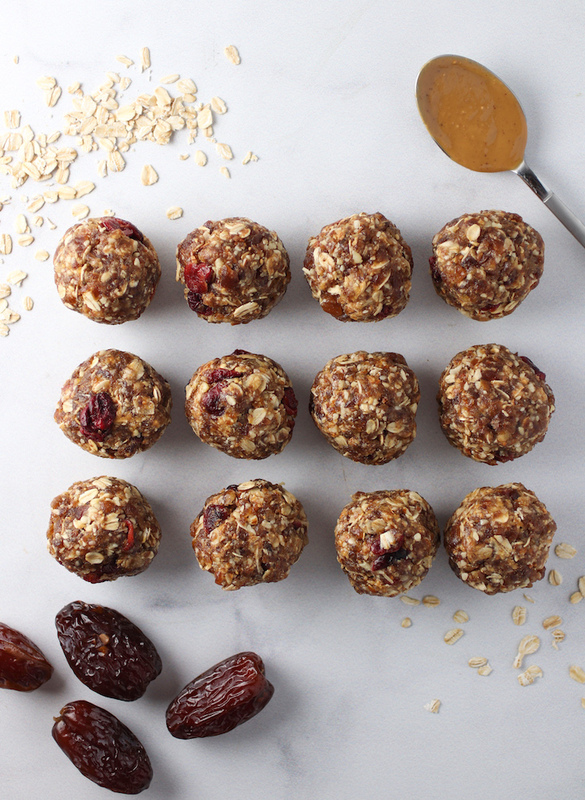 Mix the oats, peanut butter, flaxseed meal, honey and chia seeds in a large bowl. add the nuts to a food processor/blender and process until fine. Add date mixture to oat mixture and mix well. Put in zip lock freezer bag and store in the fridge or freezer.